Developed by Roblox Corporation for Windows. Roblox is a f2p massively multiplayer online game (MMOG) virtual playground and workshop where kids of all ages can safely interact, create, have fun, and learn. It can be played for free, though several features are omitted unless you purchase a subscription to the game. The game is made up of building bricks of various shapes and sizes. Players can build anything and share their creations with the Roblox community. Players customize their characters with items in the Catalog. The Catalog contains Roblox created, and user created items such as clothing, images, models, and gear. Players can add their creations to the Roblox catalog, where the model can be commented on, taken (if it is public domain) and favourited by other players. Dependent on what the model contains, the model’s icon differs. Clothing with textures could be bought and worn from the Roblox catalog. 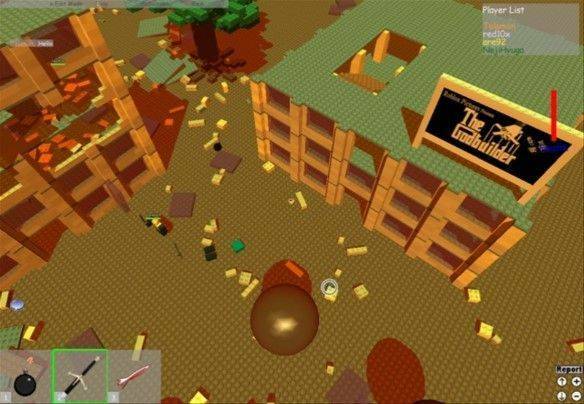 Players in Roblox have the ability to construct up to 100 places, depending on membership type, using an unlimited supply of virtual building blocks. Bricks can then be interacted with through Lua scripting. Competitive places are the most common gamemodes in Roblox. Each player starts by choosing an avatar and giving it an identity. They can then explore ROBLOX — interacting with others by chatting, playing games, or collaborating on creative projects. Each player is also given their own piece of undeveloped real estate along with a virtual toolbox with which to design and build anything desired — be it a navigable skyscraper, a working helicopter, a giant pinball machine, a multiplayer “Capture the Flag” game or some other, yet-to-be-dreamed-up object or activity.